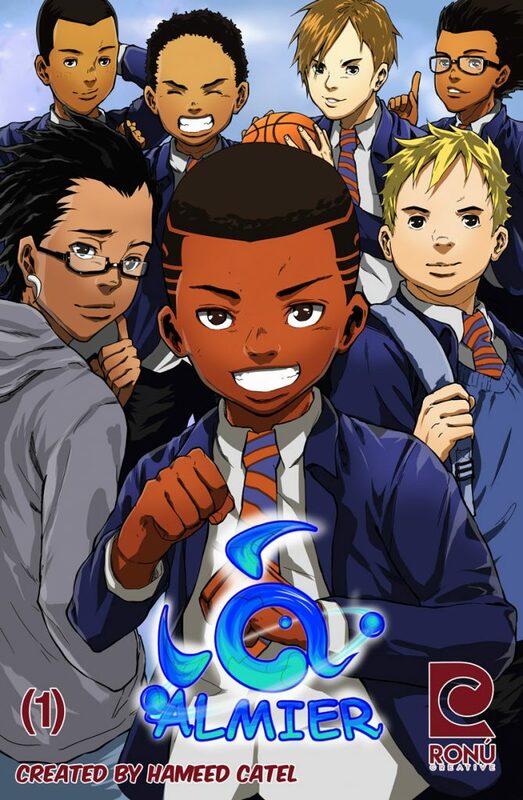 Omar Gunnoo, the main book reviewer for Dyslexia Association of London, has read and reviewed Almier, which is the first issue of a comic series created by Ronu Creative. “Heroes Come in all Shapes and Sizes”, a review of the comic book Almier. Almier is the first issue of a comic series created by Ronu Creative. The story is written by Hamed Catel and the art done by Gasa. Whilst none of the team who created Almier have dyslexia themselves, Almier makes a very special contribution to the wider community who does. Almier is set in urban London. The book dives straight into the scene of a bank robbery where we witness the extraordinary heroics of an ‘Almier’, who used his super-fighting powers, disposes of the crooks with ease. ‘Almiers’ are individuals amongst society who have the ability to summon great physical and mental powers. Through the ‘pureness’ of their souls, they are able to harness such great energy. As individuals though, Almiers are chastised by society and so they do what they can to conceal themselves. The drama-filled events at the bank have caused a stir amongst the community. Enter Hakim, a young black schoolboy who has dyslexia. He is a virtuous and strong-willed individual. From his Nigerian background he draws perspective and in no ways lets his dyslexia define who he is. In Hakim’s neighbour, thuggery is a common occurrence. However, it is also something that the general population feel powerless to stop. Not Hakim though. London has a new hero; a young boy who although his literacy may be limited, his courage is endless. Mr Catel cleverly uses urban slang to both humour and educate readers into life in the rougher parts of London. The narrative is read easily. The cells transition smoothly with the lettering keeping visible whilst not interrupting the visual sequences. Gasa’s style of illustration is pleasing to the eye, employing a grey-scale colour scheme and keeping the line-work and shading well balanced. This effectively allows the book to appear not too ‘busy’ but at the same time create an impressive perspective and exciting action scenes.